The perfect maternity wear top. An elegant, and classically cut maternity top that’s beautifully made to flatter your shape for the whole nine months. 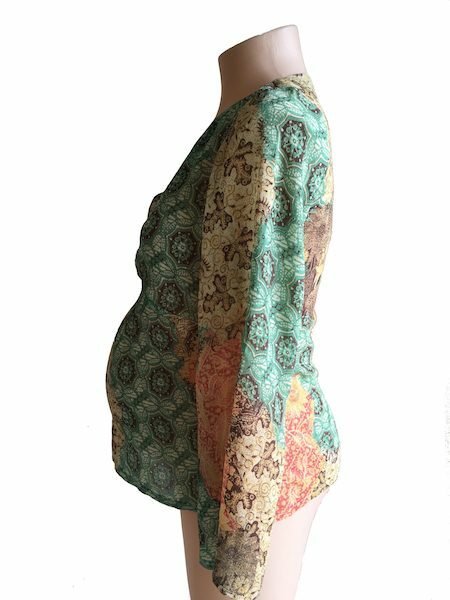 Our Ljb Maternity wear top is designed with gathering at the bust and long flared sleeves. 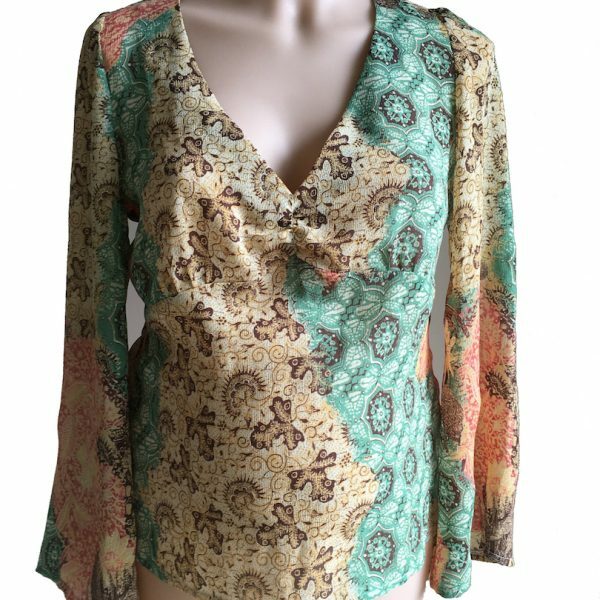 Made in a soft to touch fabric that feels light and lovely and easy to wear. The stylish print Maternity Top from Ljb is a maternity fashion piece that you are looking for to create a versatile maternity wear wardrobe that will last you the whole nine months. Wear your maternity wear top for a wedding, special occasion or night out with the girls. 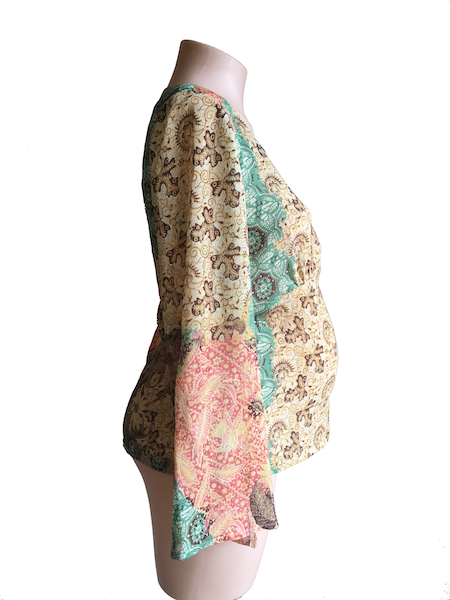 Feel stylish and fashionable in the printed maternity top from Ljb maternity. Love this maternity top? Share it with your friends! Style Options: Glam it up with our sophisticated fold over maternity skirt or match it with our wide leg maternity pant add a touch of sparkle with news season jewellery and matching heels. Afterpay is an online layby payment system, only better. Shop with Afterpay and receive your Maternity clothes straightaway, Then in 4 small fortnightly payments pay your purchase off via a nominated account!